Mt.Fuji climbing is restricted within the short term during the year. On the way to its top, you have to experience the hard roads and environment. 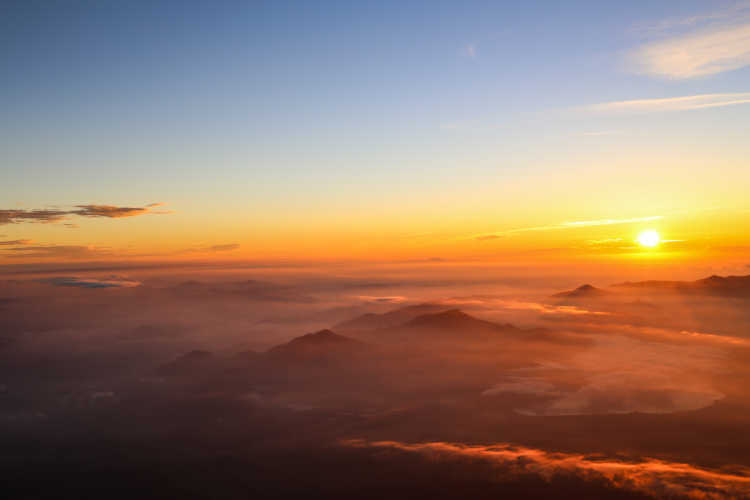 But, at the end of the journey on the top, the supreme panorama extends as far as the only successful people can see. First Sunrise Mt. Fuji Flight circles closer to the mountain than the ordinary flights. The weather was so good, and I was very impressed with Mt. 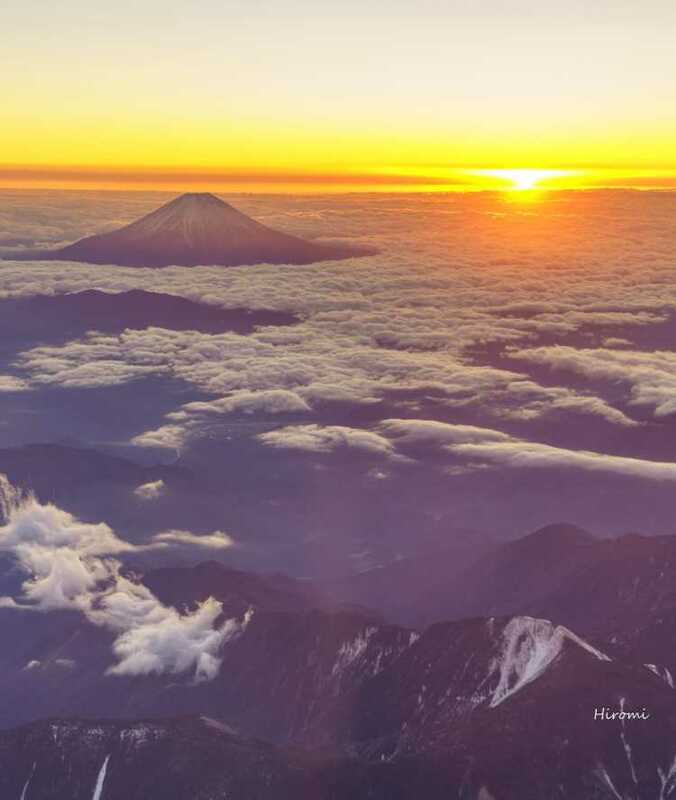 Fuji on the wonderful sea of clouds and the heavenly sunrise! We usually can't see Mt.Fuji from its above. 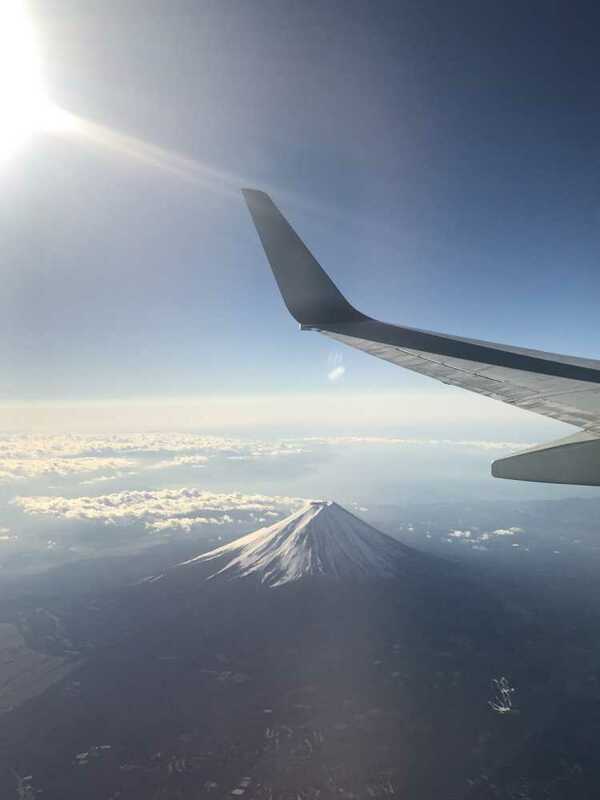 But from the plane, I could have a bird's eye view of Mt.Fuji, and that was very beautiful. Though it looks small from the sky, Mt. Fuji is the beauty of Japan anyway. We, three women in thirties who haven't been exercising lately, tried to climb Mt. Fuji. The scenery we could see on the way to the top, was the breathtaking sea of clouds. 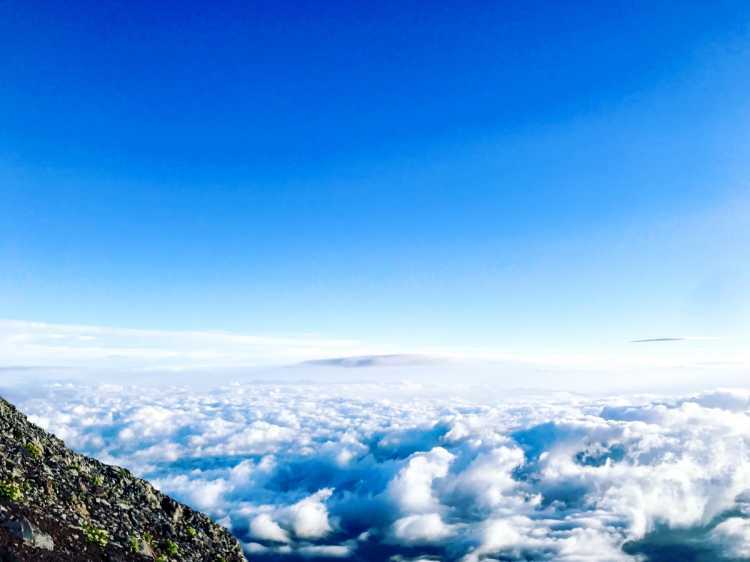 It's a kind of privilege given to only people who could reach the top of Mt. Fuji.